All CDL holders have to certify driving type, and if required you must keep a valid medical card on file with Utah DMV. Your self-certification of driving type tells DMV which qualifications you must meet to hold a CDL. You must meet the Federal DOT medical certificate requirements and have a Medical Examiner’s Certificate. You must meet the Utah medical requirements. You must have a Utah Intrastate Waiver card and a Medical Examiner’s Certificate. The Utah Medical Waiver Program considers medical conditions in specific categories. For more information see Functional Ability Evaluation Medical Report. The intrastate only (K) restriction is sufficient to indicate the driver has met the State of Utah medical guidelines for the commercial license. To inquire about more information about the Intrastate Waiver Program, call at 801-965-4437. Commercial Driver License Medical Self Certification – download the form (CDL 42) here from Utah Department of Public Safety. Copy of your valid DOT Medical Examiner’s Certificate (MCSA-5876) and, if applicable, your Utah Intrastate Waiver card. Enlarge the copy to ensure that all information is legible. You are responsible for knowing when your Medical Examiner’s Certificate will expire and for providing Utah Drivers License Division with a copy of your new Medical Examiner’s Certificate. Every time you update a DOT medical certificate you must also turn in the self-certification form. If your DOT medical card expires, and you do not submit a renewed medical certificate your driver license will be downgraded. You may submit a copy of your new Medical Examiner’s Certificate (MCSA-5876) together with a Commercial Driver License Medical Self Certification form (CDL 42) to Utah Drivers License Department by mail, fax, email, or in person as described above. what do I have to do when if my medical card expires? do I retest or is there a grace period to get the physical done? No grace period, just get a new physical done and get the results to your states drivers license department, ASAP. I. Have a class A Cdl. My job at the present time and possibly into the future doesn’t require a medical card. I don’t want to loose my Cdl. If I don’t turn in a medical card it will be down graded. Can it be restored if and when I go back to driving and submit a new medical card? You need to check with your states drivers license department for your best answer. I recently had a DOT physical and passed everything. My examiner said they are not giving out medical cards because everything is stored electronically now so the actual card is not needed. Is this true? How do I prove to my employer that I am valid without the actual medical card? The examiner is incorrect. You should be given a copy of your medical examination: both the long form, and a copy of your medical card. The new medical cards are larger than the old wallet size. I have been taking anxiety medicine for about three years. Is there a place I can go get my dot med card in Salt Lake City? Try Dr. Parkes @ 801 972 2332. He will setup an appointment for you. If you can, get a medical release form from your doctor explaining your medication and usage. It helps him make the best decision. i have a utah class d license i want to get the permit for class a cdl ,but i cant see with my left eye can i have the permit to get the cdl within the state of utah ? You’ll need to contact your local drivers license department to see what waiver conditions they’ll allow for you in Utah. I have a class A CDL Utah license, but have not driven commercial for a few years. Thereby, I hadn’t thought about the fact of my DOT card expiring. Well, I was pulled over by UHP (Who btw, told me that they don’t have badge numbers on their badges.) only to learn that my drivers license had been denied. Trooper Wilson said that he was unaware of the reason for it being denied. I had to have my son come pick me up. I had a spotless driving record for years, but due to this charge – that is no longer the case. Insurance sky rocketed, of course. So my question being, why was my license denied, rather than downgraded? You should have received a notice in the mail from DMV. Only DMV can answer this question for you. Because the state of Utah feels like extortion is a viable means of taking away your rights and your hard earned income. 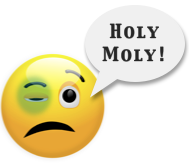 Why do they request a urine sample during a CDL medical exam in Utah? Do I need a dot med card if I am not using my CDL commercially , I have not used it for the past year but do not want to loose it , may go back to driving commercially in the future . 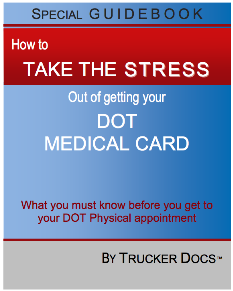 Most state require a valid medical certificate to maintain valid cdl. 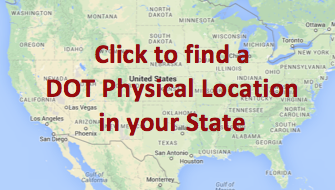 Check with your state to confirm or deny what you need to do. Do you have to be a two-year resident in Utah to get your CDL as a truck driver? Question: Is a stress test required to get a Medical Card if I have had an MI in the past (over ten years ago)? Have always had a current card and the doc(s) have never said I needed one. The last doc said it is required? Is this true? Yes you need to have a stress test done every two years since you had the MI and your medical certificate should be limited to one year at the time. It’s an FMCSA thing, not the CME’s. your website states that if you don’t submit your DOT physical card that your license will be downgraded. I don’t believe this is accurate, I didn’t submit mine and they suspended my license for all types. You would need to check with your state DLD, commercial drivers license division. They should be able to confirm of deny that your paperwork has gone through. I have type 1 diabetes and currently have a intrastate med card. I’m in the process of getting a new job where I would have to cross into Nevada to Ely. Is there a way to get a waiver to be able to leave the state? You’ll need to check with the FMCSA to start the process of an insulin waiver. That is the only legal way that you are going to be able to cross state lines. What if we aren’t acting with the privileges of a commercial driver? I work in a office environment now, but I don’t want to give up my CDL because I may have to drive commercially again one day. I also have a Private Pilot License, my FAA medical can expire, but if I want to fly again I have to have an up to date medical signed by a FAA medical examiner. There ought to be a wavier if you want to keep your CDL but aren’t acting as a commercial driver. Check with Utah DMV and see if they’ll let you self-certify “intrastate excepted” while you’re not driving commercially. Then you won’t need to have a medical certificate. When you want to drive again, you’ll need to get a new medical card, and change your self-certification to a non-excepted category. What if we where overseas from 2012-2014? Just arrived 2 months ago from Germany and need to renew my medical card that expired in 2013. Do I have to loose my CDL class A cause we where station in Germany. Your CDL Class A is most likely still okay if you haven’t received a downgrade letter from DMV. Fax or mail a copy of your new medical card, together with your self-certification affidavit to Utah DMV. If you get a downgrade letter from Utah DMV, contact them and explain your position.